As summer rolls around, looking fresh and put-together can be difficult in the bright sun and harsh heat. Humidity and high temperatures naturally cause perspiration, and makeup melting down your face can create dirt and oil buildup under your skin. Taking the right steps is essential to keeping your skin clear and your makeup in place all day. With the right products and correct application, you’ll be combatting cake face and raccoon eyes with relative ease. Use an oil-free facial sunscreen. A good quality, reliable sunscreen is must-have if you’re going to be exposing your skin to the sun’s harsh rays. Sunscreen specifically designed for the face is recommended because a non-greasy formula will help prevent looking shiny and oily throughout the day while still providing plenty of protection. Avoid heavy moisturizer and foundation. Using foundations and moisturizers with overly thick consistencies can cause your makeup to slide right off your face as soon as the heat hits. Go for a light, mattifying moisturizer and let it soak into your skin for about ten minutes before applying anything else. If you just need a bit of light coverage, opt for a B.B. cream or a tinted moisturizer instead of your normal foundation. If you’re prone to acne, use a long-lasting concealer only where needed, like on breakouts or red areas, and keep the rest of your face as light as possible with a long-lasting, non-comedogenic foundation. If you’re not familiar with primers, they are made to help your makeup stay put longer - almost as if it’s adhering to your face. This is especially helpful in the summer months. Make sure to apply it after your moisturizer, but before your foundation. A good eye primer is very helpful as well if you’re going to be wearing eye shadow or liner, as it prevents creasing and running in any weather. Keep it in thin layers. As soon as you start applying too much product, your face is going to begin looking cakey. Be sure to blend each layer of product very well into your skin before applying the next, and keep the layers thin and uniform. You want the makeup to look like your real skin, so making sure that each product is evenly and thinly applied is the key to long lasting results. Less is more! Runny mascara can be detrimental to an otherwise polished look. Using a waterproof or water-resistant mascara is absolutely necessary in a hot and humid climate to keep your eyes smudge-free. Carry blotting paper in your purse. Bringing along a few sheets of blotting paper is a wonderful remedy for oily skin; they absorb excess oil without removing your makeup along with them. Adding layers upon layers of powder throughout the day will undoubtedly cause you to look unnatural, so skip the powder re-application and try blotting instead. Drinking plenty of water is extremely important all year round, but the risk of heat stroke and dehydration is why you should always bring a water bottle everywhere you go in the warmer months. Keeping your body cool from the inside out can be especially helpful in preventing excess perspiration, so sweating off your makeup will be the least of your worries. What’s the difference? There are many popular “over-the-counter” brands, which are known because of advertising and packaging budgets. The problem is most of the time these products can’t live up to their promises. How do medical skincare products differ? 1. Higher concentration of active ingredients. Medical grade products contain more active ingredients than over the counter lines because the formulation is being overeen by a physician. Department or drugstore products are created for the general public, and only have small amounts of the necessary active ingredients to fight skin problems. 2. Real results. Treatment needs to reach the deeper skin layers. Drugstore/department store products only reach the outer layer or epidermis. Medical grade skincare products are able to penetrate further into the deeper layers f the skin, such as the dermis or middle layer. This is where elastin and collagen are found, and where new cells are produced. 3. Based on science. Medical grade skin treatments have been scientifically formulated and provide real results. They contain ingredients to repair skin at the cellular level, and encourage the production of elastin and collagen, which are necessary for younger, fresher looking skin. In order to effectively treat wrinkles, fine lines, hyperpigmentation, sun damage, acne and other skin care issues, medical grade skin care products are necessary. Is Retinol The Best Anti-Aging Skin Care Ingredient? Retinol, a very effective antioxidant, is another name for Vitamin A. Retinol interrupts the free-radical damage process which causes your skin to appear older. This prevents wrinkles while increasing collagen production. While retinol has many benefits, it’s essential to remember that there is no single skin care ingredient that provides everything your skin needs. Your complexion still needs alpha hydroxy acid for exfoliation and a serum and/or moisturizer that is loaded with anti-oxidants. Maintaining a healthy and youthful looking complexion requires a number ingredients working together to give your precious skin what it needs. Combined, a good skin care routine will keep your skin rejuvenated and refreshed looking. Topical application of retinol will do more than provide excellent anti-aging benefits. It can also improve the appearance of pores and reduce pores that have become enlarged due to clogging or sun damage. Redness and flaking can occur, especially for new users. In some cases, people with especially sensitive skin do not tolerate retinol. Symptoms should diminish in a few days as skin adjusts. If the symptoms do not subside, or if they get worse, discontinue use. What’s Different About Mineral Skincare Products? Mineral skincare products are comprised of 100 percent healthy, high-integrity minerals, pigments and nourishing ingredients which include antioxidants, peptides, breathable zinc and titanium dioxide. Mineral make-up is available for the face, lips and eyes. One example is the Colorscience foundation—its thin mineral layer not only locks in moisture, but it also prevents the sun’s rays and environmental pollutants from penetrating. Colorscience’s sun care line is made with 100 percent zinc and titanium. The line contain no chemicals and delivers high-performance UV ray protection. Offering a custom-created range of facial primers, which provide sun protection, Colorscience diminishes fine lines and pore size while achieving a smooth skin texture, tone and finish. The ingredient hydroquinone is an extremely effective skin-care ingredient for topical use to eliminate brown skin discoloration due to sun damage. In different concentrations, it prevents skin from producing the enzyme responsible for triggering melanin, which is what gives skin its colour. What hydroquinine essentially does is bleach the skin to get rid of brown spots or pigmentation which appear due to sun damage; it doesn’t lighten skin overall, it targets the darker pigmentation and not underlying skin colour. It works slowly overtime, reducing the discoloration and improving skin texture. One medical grade skin care line that delivers a knock-out punch to reduce skin discolouration is SkinTx Skin Treatment System, a daily skin restoration system. Skin Tx blends a powerful combination of Retinol, Hydroquinone, Alpha Hydroxy Acids and Vitamin C (L-Ascorbic Acid USP) to treat several skin conditions. By combining these ingredients, Skin Tx helps to correct hyperpigmentation (brown spots), aging skin, irregular skin texture and tone, lax skin and acne. The Skin Tx line is recognized for providing consistent results and is easy to use. Facial serums are a light, quick to absorb skin care product used as an alternative or along with moisturizing creams or lotions. What’s the difference between a serum and cream or lotion? The main difference is how they are formulated. Most serums are water-based and eliminate oils completely—they don’t contain petrolatum or mineral oil. Many skin care professionals and clinics highly recommend serums as they are lighter and work better for oily skin, providing everything a moisturizing cream does. Serums contain high concentrations of the best anti-aging ingredients such as antioxidants, peptides and skin brighteners. Often referred as the ‘workhorse’ of any skincare line, serums are also often the most expensive. Because they pack such a wallop, only a small amount is needed, so a container should last months. 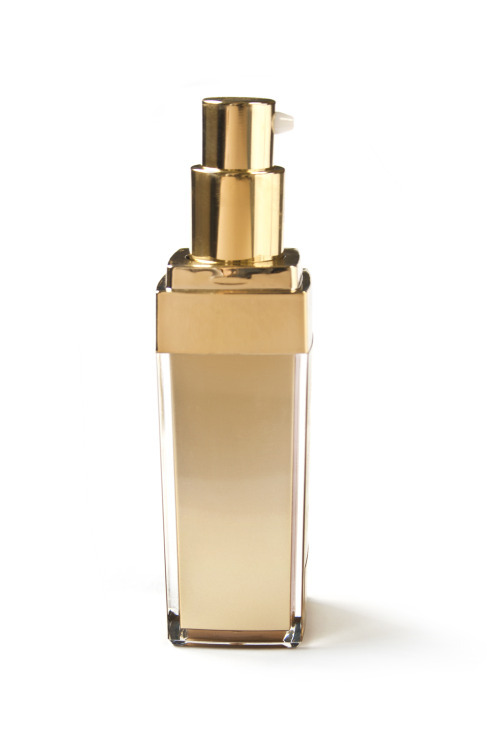 Often arriving in pump bottles or medicine-dropper applications, serums are dispensed in the tiny amounts needed. Those tiny amounts are all that is needed, as serums are super concentrated and super efficient. Because they are made up of tiny molecules, the skin absorbs the serum quickly and deeply. Traditional moisturizers and lotions lock in moisture, but can also block active ingredients from being absorbed. A serum penetrates the skin more quickly and efficiently. 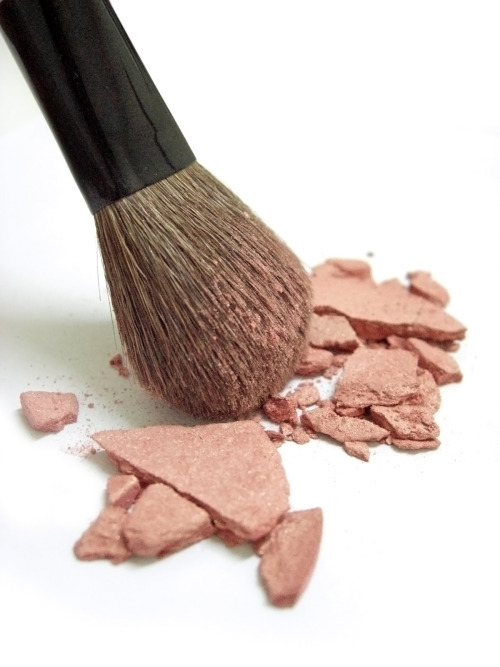 The difference between mineral makeup and traditional makeup is the ingredients left out of mineral makeup. Ingredients not contained in most leading brand mineral makeup include fragrance, preservatives, parabens, mineral oil and chemical dyes. Many dermatologists endorse mineral makeup because these ingredients may irritate skin. Mineral makeup is less likely to cause a reaction in sensitive skin and because it doesn’t contain oil, won’t affect acne-prone skin. An umbrella term for cosmetic products that are natural and contain pure, mineral makeup contains mineral ingredients rather than synthetic chemicals formulated in a laboratory. Mineral makeup products run the gamut from foundations and blushers to eye shadows and bronzers. Suitable for any age and for all skin types and tones, mineral makeup is often described as having a lighter texture and is softer on skin. Mineral cosmetics have experienced a surge in popularity recently. For women in their 30s and 40s who have bathroom counters filled with products that have caused reactions because of one ingredient or another, mineral products means they may be able to wear make-up without irritation for the first time. The switch to mineral or organic cosmetics can also greatly reduce the number of toxins you put on your skin daily and improve its condition, texture and appearance. As with anything, it’s important to read the fine print before applying a new face cream or foundation. How does mineral make-up help skin? Mineral make-up and organic skincare products are carefully formulated. This means they are a preferred choice for anyone with a skin condition or problem skin. The natural ingredients may improve the appearance of dermatitis, blotchiness, acne and rosacea. Mineral make-up contains naturally occurring titanium and zinc oxide and its loose, dry minerals don’t require preservatives and other skin irritating ingredients. Zinc provides anti-inflammatory properties, which are the ingredients that help reduce acne, eczema and rosacea. For sensitive skin, a reaction to mineral skin products is rare. The water base used in mineral makeup means make-up stays in place but doesn’t clog pores and reduces the chances of an unwanted breakout. Primers are not just for oily skin. There are many different categories of primer, and all are used to decrease the appearance of lines, tired eyes, or uneven skin colour. Consider the benefits of using a primer, and understand how each kind is working for you. What is a Primer? A primer goes on first, before foundation, and can be used to even out skin colour where redness is a problem, decrease the look of fine lines, minimize the appearance of pores, or brighten the complexion before adding makeup. Primers improve the application and resilience of foundation and are a barrier between your skin and your foundation. The ideal primer is lightweight and refreshes and hydrates your skin. What Are the Differences in Primers? There are many, many primers out there, but most fall under a few categories that are aimed for different needs. Some primers brighten the skin, reducing the appearance of fine lines and containing a pink tint to keep your skin looking (and feeling) hydrated. Some primers contain SPF and focus on moisturizing the skin while creating a barrier between the foundation and your face. Like all good primers, these are ideally non-oily and lightweight, and are used instead of “priming” the face with a moisturizer in the morning, or before makeup application. Primers are interesting because they use colour theory to pinpoint and correct the desired area of improvement. A lavender colour will re-liven skin with yellowish tones, while green decreases the uneven appearance of red tones in the complexion. Some people stay away from silicone because of sensitivity or allergies. If you already use a silicone-based foundation and are happy with it, make sure to pair it with a silicone-based primer so one does not break down the other. There are, however, many silicone-free primers on the market. Whether you are silicone-friendly or silicone-free, remember to look for a primer that is focused on good skin health: hydrating your skin, protecting from the oils and talc in makeup, providing vitamins, and avoiding clogging your pores. Colorescience Primers are a line of dermatologist recommend primers that focus on sun protection, and avoid any harmful ingredients such as: harsh chemicals, dyes, talc, alcohol, mineral oil, and fragrances. Colorescience uses mineral powders that create a protective barrier between the skin and makeup, keeping the skin clean and hydrated. This is an example of a primer that, no matter what the focus—colour correction, reduction of fine lines, or creating a clean barrier—it is dedicated to keeping skin healthy. Another layer of make-up on your skin? Will it clog your pores, irritate your skin, and promote oil production? Actually, the answer is no. The opposite is true: primers protect your skin by acting as a barrier between your cosmetics and your skin. If you have sensitive skin, a medical grade primer protects your face from sun damage (causing dryness, aging, and redness) and creates a protective wall between makeup, sweat, and your face. A primer is best used when it contains sun protection and promotes an even layer upon which to apply the rest of your make-up. Use a medical grade primer in conjunction with the rest of your skin care routine to help moisturize, hydrate, and work with the vitamins that your night and morning moisturizer contain. By retaining moisture, you prevent oil from being produced as a reaction to dryness. A primer can help promote skin tone and texture that are more even in appearance. Although it seems like just one more addition to your morning routine, primers can aid in a healthier complexion—they are not just for evening out your complexion or as a layer for your foundation to adhere to. They can also highlight areas of your face, and decrease the appearance of fine lines and redness. Start your day out right for your skin with a medical grade primer! We are all too familiar with the importance of moisturizing in cold, dry winter months. There’s more to it than slathering on any lotion, however, as quality is of the utmost importance. Using medical grade skincare products is necessary to ensure your skin is being treated in a way that is sealing in moisture, rather than clogging your pores. Sunscreen all year long: it’s the great secret to keep your skin in peak quality now and for years to come. Putting on any over-the-counter sunscreen on your skin every day is a good start to protecting yourself from the sun, but it will quickly produce clogged pores, likely followed by irritated skin. Medical grade sunscreens such as Colorescience’s Sunforgettable mineral powder are designed to protect while avoiding clogged pores. Some medical grade skin care products actually actively stimulate collagen production. Collagen fills out our body’s fine lines that may have sagged over the years, producing the “plumpness” or fullness in our skin we associate with youth. These products seal in moisture and stop dry skin while working on the overall youthful health of your skin. Consider medical skin care products to be at the top of their class. They contain more active ingredients than their drugstore counterparts, and provide results by penetrating beneath the skin’s surface. Standard lotions cannot penetrate the skin’s surface and rather sit, providing brief moisture to the face or body while ultimately clogging or irritating the skin. Especially if you’ve had any skincare treatments, consider medical grade skincare products to be a great investment in your skin’s future health. Medical grade skincare products help to prolong the results of skincare treatments by supporting the structure of the skin. Medical grade can be more expensive than drugstore lines, but consider them to be of much higher quality, requiring less applications than standard brands that don’t break the surface, and providing overall long lasting results. Invest in your skin.